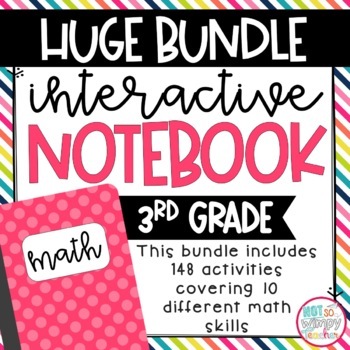 I LOVE interactive notebooks! They have been a regular part of my classroom routine and something that my students look forward to. That being said, I receive questions from other teachers nearly every day. This may be a long post, but I wanted to answer ALL of your questions in one place. So grab a glass of wine and get comfy! First, I have to give a public service announcement. The answers to the following questions are my own personal thoughts and opinions and do not necessary represent the thoughts and opinions of all INB users. Not following my advice will NOT lead to increased blood pressure or depression. You do NOT need to consult a doctor before the use of interactive notebooks. What are interactive notebooks (INBs)? 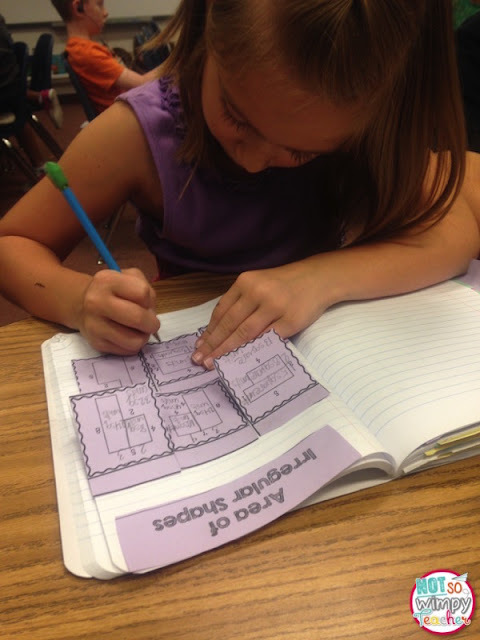 Interactive notebooks are a hands-on way to practice or show mastery of any subject or skill. The notebooks become a collection of the students' learning through the year. 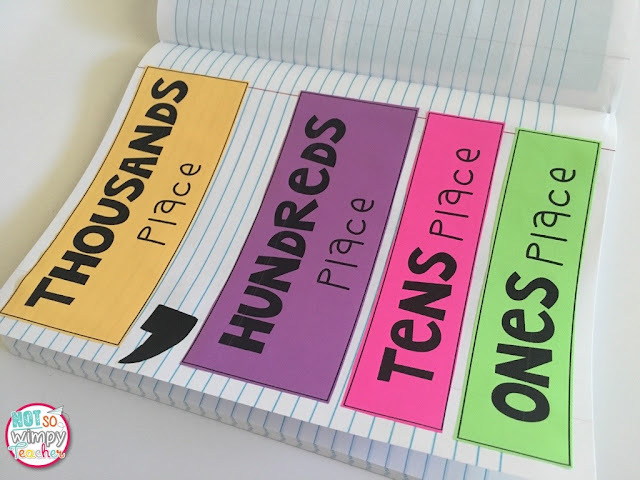 Interactive notebooks include student output and are NOT just a collection of notes. INB allow students to practice skills that were previously just put on worksheets. Now the activities are more engaging and the student takes pride in them because of the time and effort that goes into creating the notebook. Where should I start with interactive notebooks? It seems overwhelming! It can be very overwhelming at first. I highly recommend that you start with just using an INB in one subject area. If it goes well, you can always add in another subject area mid way through the year. 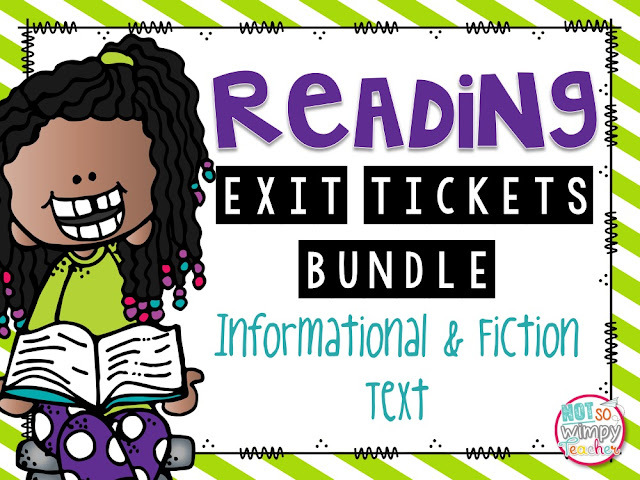 Next, look for INB activities that best meet the needs of your grade level. When looking at INB activities, look for pieces that have simple, straight cuts. Also, look for activities where every piece has a purpose. I love cute clip art but I don't have time for my students to spend cutting and coloring clip art. That isn't a good use of time. Finally, use these summer months to make a sample book of your own. It will help you to understand the easiest way to cut the pieces and best way to fit them in the notebook. You will kiss yourself later in the year when the samples are ready to go! I have free notebook covers and table of contents sheets HERE to get you started. 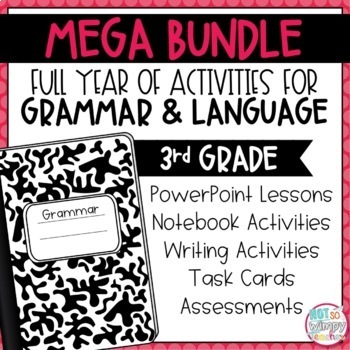 Do you use them in one subject or in all subjects? I currently use INBs in math, reading a mixed notebook for science and social studies. I have done a language one before. But you can, and should, start out small! When do you find time for INB? 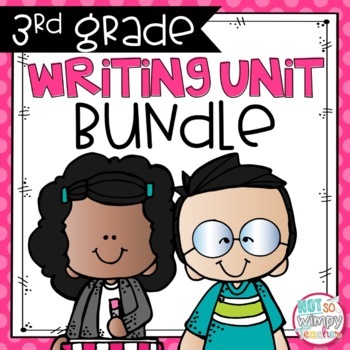 I do INBs during guided reading and math groups. 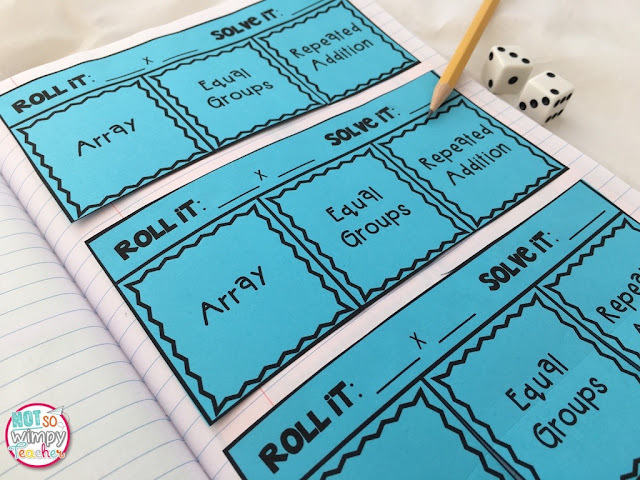 This makes it simple for me to see how students are doing and it makes it easier for them to see my sample and know how to properly complete the activity. Doing the notebooks during small groups also allows me to differentiate the amount of support that each group receives. It also allows me the opportunity to quickly check notebooks right at the small group table so that I am not lugging home piles of notebooks. When I see that a kiddo is struggling, I can give them maninpulatives and/or support right away. If they did it in an independent center, it would take much longer for me to notice their errors and get to helping them. Since I already do small groups in both reading and math, I am not adding additional tasks to our day. Nope. We do them when students have had time to practice a skill and are ready to demonstrate mastery. We average about one math activity, one reading activity and either a science or a social studies activity each week. But not always. 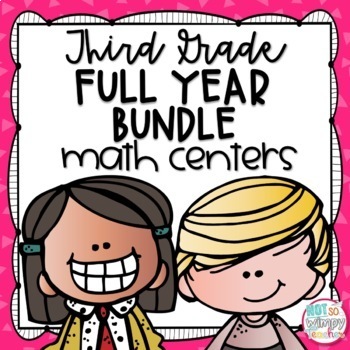 We might go a couple weeks before we are ready to do a math notebook activity for a skill. Do you teach before they put the notebook together? Absolutely! I will teach a skill whole group, we will practice it (with manipulatives) in small group and then we do the notebook activity. I use the notebook activity as a simple assessment in order to plan my future lessons and interventions. 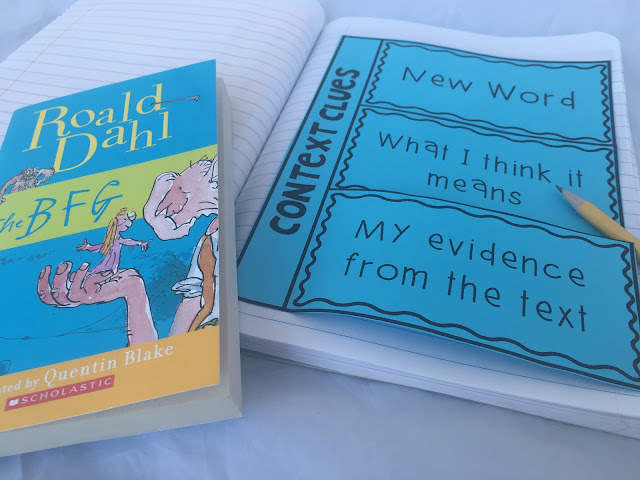 I very rarely use a notebook activity to introduce a topic. When do the kids cut? My kids are trained that when they come to small group and see an INB activity on the table, they should begin cutting RIGHT AWAY! 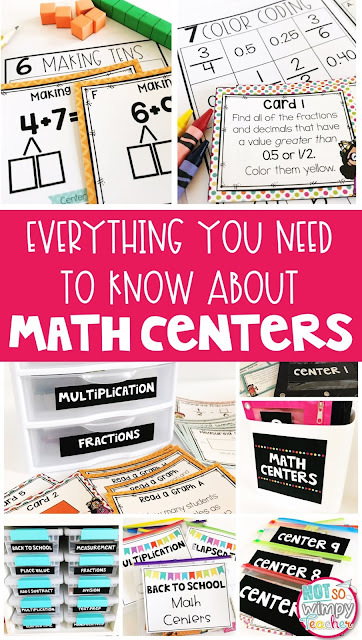 This gives me a few minutes to check on students who are doing math centers. 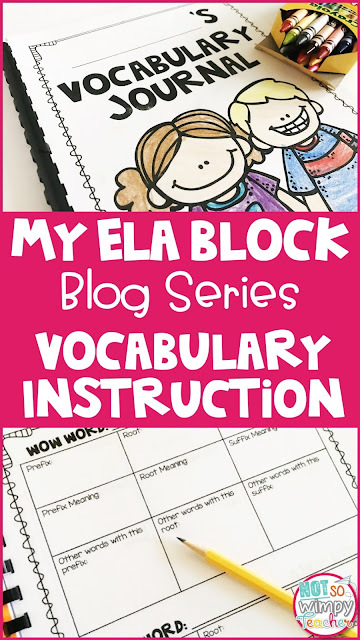 When I get back to the table, they are usually just finishing their cutting and we discuss any vocabulary or strategies that we have learned that will help them with this activity. By the time we are done with this mini discussion, students are done with cutting and glueing. The entire process never takes longer than 5 minutes after students are trained. How do you get students to cut faster so that time is not wasted? This is the number one question! First, make sure you are choosing activities with straight simple cuts and do not include extras that are just cutesy. My students get a lot quicker after doing a very activities because most of my activities look similar. They don't need instruction on how to cut and glue each activity. They don't even need a sample of every activity. Next, teach your kids to cut! This might sound silly, but I promise that it makes a big difference. I teach this procedure at the start of every year. A child naturally wants to cut around each individual piece. That is too time consuming. Model for them how to cut around the borders of the paper and then cut out columns or rows and finally cut out the pieces. So much faster! 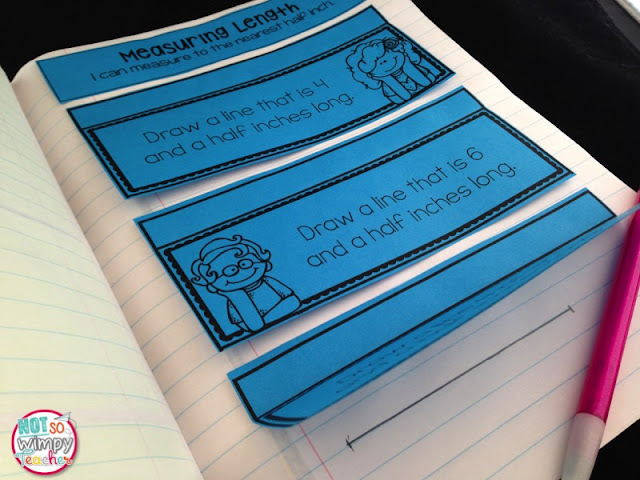 Because of these tips, it only takes my kids about 5 minutes to do the cutting and glueing for their notebook activity. It takes a little training, so don't expect this at the beginning of the year. Give them time to get used to it. But if after a while, they are still taking too long, ask if there are any parents who have big paper cutters at home. Have them just trim the borders. Students will still need to cut, but it will make it a little faster. I often do this for science and social studies because we have to do those notebooks whole group and that is tougher. They talk more! How do you deal with glue? I have four glue sponges at my back table. They are cheaper than glue sticks and the papers stay put better. Plus, they are huge time savers. No one is getting up to throw away empty glue sticks or to get new ones. No one is on the floor searching for a glue stick lid. They are super easy to make. You just need a small plastic container with a lid (like a food storage container), a kitchen sponge and some white glue. Put the sponge in the container and pour the white glue over it. Put a lid on it and let it sit overnight before using. My four glue sponges lasted the entire year with all 24 of my kids using them daily. 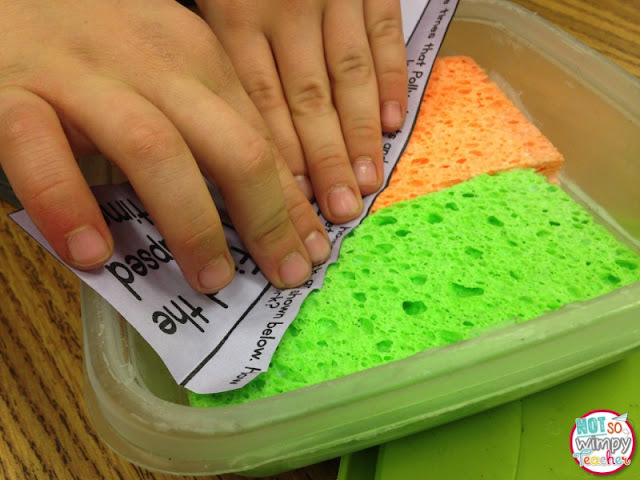 You can see more about making glue sponges by clicking HERE. What do you do when someone is absent? Do you complete it for them? No! I just put the page with their other work and they will complete it when they get back. They usually do it during bell work, math centers or snack time. 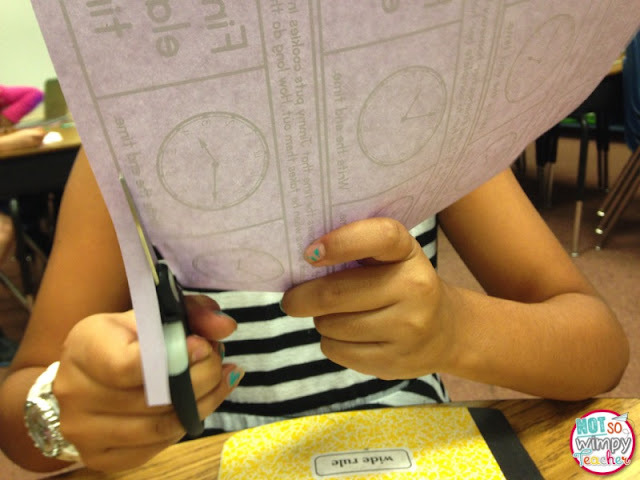 The activities look so similar to other ones that they have done, that students rarely have trouble with the cutting and glueing. If needed, they could always look at their partner's notebook. But it is important to me that THEY do the activity! 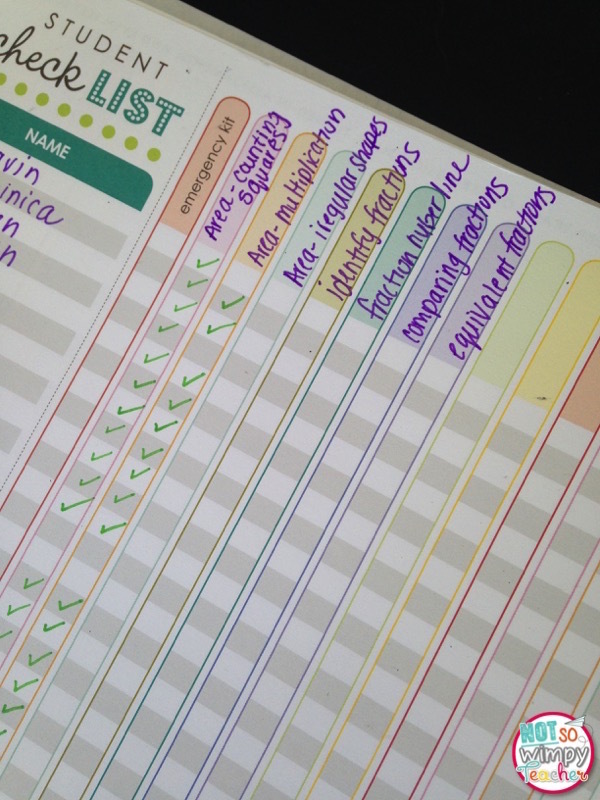 Do you write the notes and students copy them into their notebook or do you have them come up with their own answers? I don't use INB for note taking. 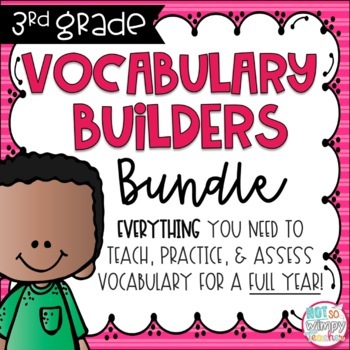 We may do some vocabulary flaps from time to time, but we do them after the vocabulary has been taught, so I would want them to come up with their own answers. Most of the time students are solving problems or answering questions in the INB. I never tell them the answers because I want to know what THEY know. How do you assess INB? Do you give a grade? This was another popular question and one that I am especially excited to answer. I think that many teachers make the assessment too much work for themselves and therefore burn out fast. I DO NOT give letter grades for interactive notes. Please don't turn me into the bad teacher police! You could give a grade by using a rubric. But I just don't have time for that. 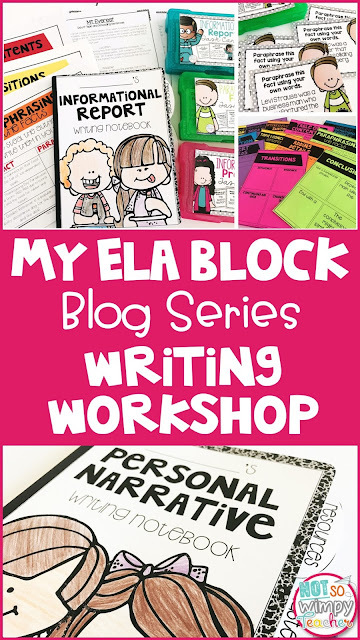 I use interactive notebooks to guide my small group (and sometimes whole group) teaching. 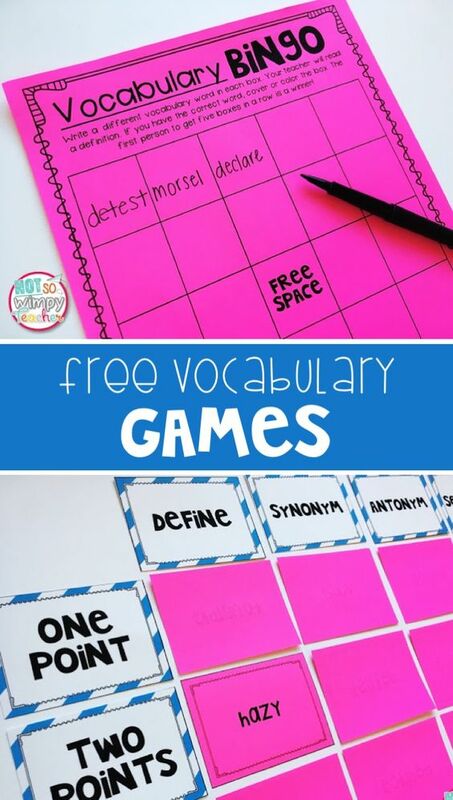 I watch as kids complete them (which is super easy since we do them in small groups!). I am asking myself questions like- Does the whole class need another lesson on this skill? Does this math group need more practice with manipulatives? Does this student need to move to another group based not their ability? Who will need intervention? Who is ready for enrichment? I think that the answers to these questions make me a more responsive teacher. I think that is so much more valuable than another grade in the grade book. Instead, I get grades from their independent center work and assessments. At the start of a unit, I make a checklist of the basic skills that my students will need to be successful. These are skills that I need them to master before the end of the unit. 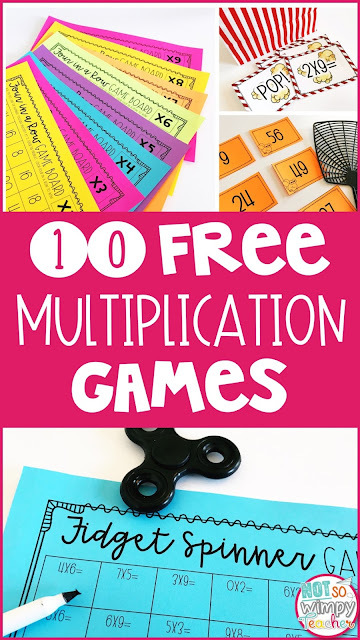 For example, when we are doing our addition unit, I would put the following skills on my mastery checklist: adds multi-digit numbers without regrouping, adds multi-digit numbers with regrouping, adds numbers when regrouping is needed more than once. I put the skills across the top and the students' names along the side. When students do an INB activity and get all of the questions right, I give them a checkmark on the mastery checklist. If they get some wrong, I put a -. If they are way off base, I leave it blank. At the end of the week, I can clearly see which students will be receiving intervention! Note: It is a little more challenging to read their responses quickly from their reading notebooks. Instead, I have them orally share their response with their partner. I listen in to see if they got the gist of the weekly focus skill. I can also assess their speaking and listening skills at the same time. CHECK! In my opinion, everything doesn't have to be graded! My goal is to teach students the standards to mastery and this helps me to keep track of what each individual student NEEDS to meet the goal. I don't collect notebooks and take them home! I just give a quick look in the small group. It is super fast and meaningful! What do you do when kids finish faster than others? If students complete an activity, and they got all of their questions right, I often release them to join in with the game center. This means that the students who are struggling will have more of my attention and the student was rewarded for his careful work. Sometimes, I will put a challenge math problem on the board and have them work on that. This problem provides necessary enrichment. Generally, my higher groups all finish faster and that gives us time to go a little deeper with the skill. Do kids refer to them for review? Yes! Students are proud of them and I see them refer to them when they are doing spiral review work in centers. I do not allow my students to take their notebooks home until the end of the school year. I honestly don't expect my third graders to study for tests. If they understand a strategy, they will be able to demonstrate it on an assessment without studying. Extra hands-on practice helps them to remember the strategy. I have never given weekly small group grades, so I don't feel bad about not giving them weekly updates on the notebooks. Like I said, I use them to help me plan future instruction. They receive other grades. Clearly, if a student is having regular troubles, I am contacting the parent and, in a conference, I can use the notebook as evidence of their challenges. I do have an open house once per quarter. Students are encouraged to show off their notebooks at these open houses. Parents love to look at the notebooks, but not one has ever asked me for a grade. That's it! 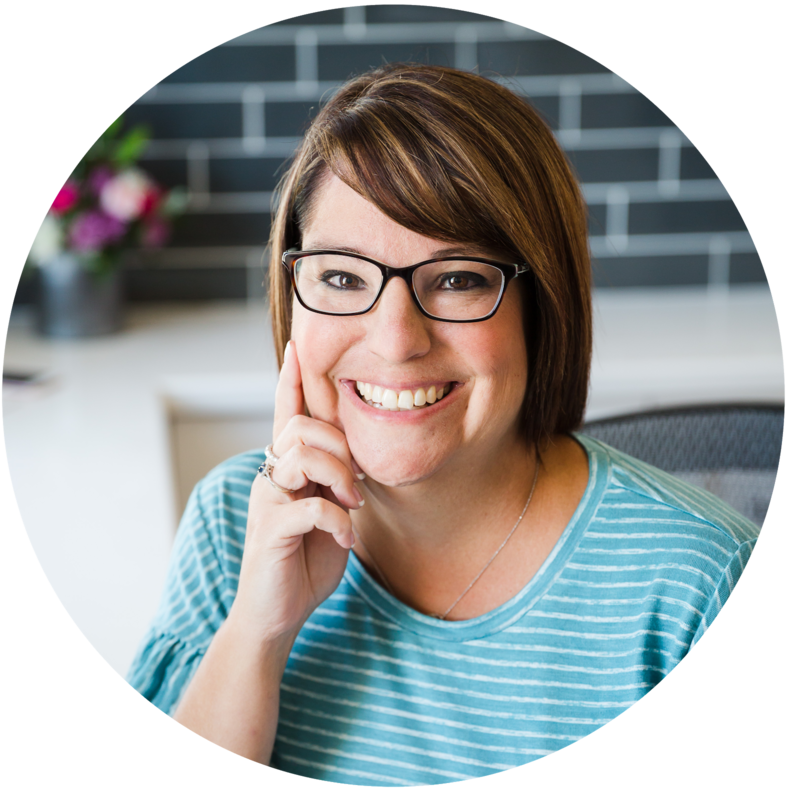 If you are still reading, I am so thankful! 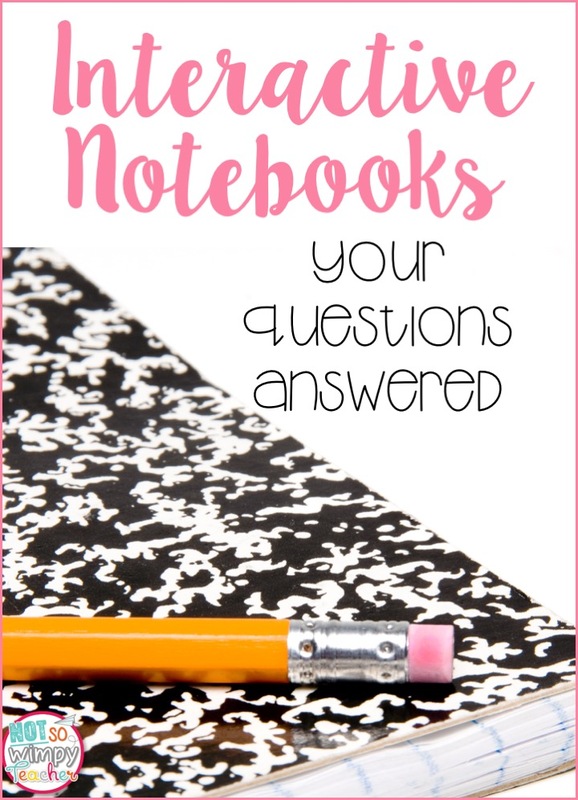 I hope that the answers help you with your interactive notebook journey. If you are in need of notebook resources, I have quite a few in my shop. Just click HERE.